On August 15th, a NASA Safety Notice issued at Kennedy Space Center warned that NASA's new Identity Stronghold badge holder has the "potential to introduce dangerous Foreign Object Damage (FOD) to flight hardware areas and can cause personnel injury if the metal clips are installed improperly." We say: Our simple, but effective SkimSafe badge holders offer the same technology protection in an elegant, safe design. With our recent FIPS201 approval it will be nice to have these available as samples at the upcoming ASIS Conference & Exhibits. 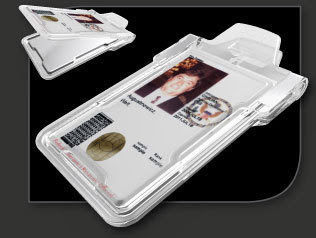 We say: Multi-function or multi-technology ID cards can be quite simple to implement if pre-planing is adequate. 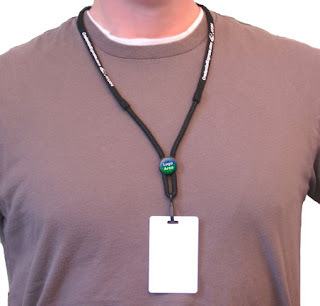 In a world-first for Microsoft, all delegates will carry a passive RFID tag behind their conference lanyard. It is expected that up to 5,500 tags will be in use across the four days of the event. The tags will be scanned as people enter or leave one of 34 doorways in the Sydney Convention and Exhibition Centre. The system is able to handle as many as 250 people moving simultaneously through a doorway at a span of up to 10.5 metres. The network includes 118 antennas, 56 fixed readers, 20 Kenetics Windows mobile-based readers and multiple screens to display Silverlight visualisations and BI data on attendees. 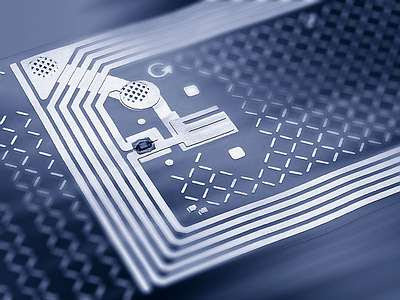 We say: RFID has been on the horizon a long time and we will begin to see applications that are effective in the ID card market soon. It is about to pop. 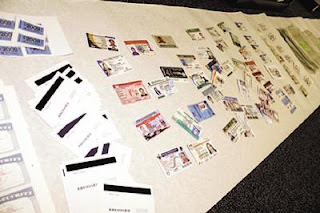 Other evidence seized from the rented rooms included sheets of blank Social Security cards, immigration cards, driver's licenses, W-2 forms as well as completed cards, including driver's licenses from California, Arizona, Oregon and numerous states in Mexico, California license plate stickers, Matriculas Mexican ID cards and resident alien cards, according to police. Police said Montana's products looked authentic. Again we say: It is not that hard to secure a photo ID card at a reasonable cost. Security features are worth the the small cost to protect valid documents. Not all businesses are being affected by the current wide-reaching economic downturn in the US and worldwide. The Promotional Products industry as a whole (with a sales volume estimated at $19.4 billion in 2007) is experiencing steady growth as advertisers rush to get memorable product in the hands of their customers. See today's article in the Connecticut Post for more information. The Promotional Products Association International's Anne Lardner says "Promotional products just work, they become part of your lifestyle. You use them, and every time you look at one, it reinforces the message." How are you promoting your company's image to your clients and dealers? Lanyards are a great choice for a memorable impression. CredentialExpress takes new orders each day for top quality lanyards with unique features!